The prospect of a limo pulling up to your home or event is thrilling. The sleek, glittering black of the elongated, shimmering exterior, just a small glimpse of all the wonders that lay ahead: gleaming wood floors, flat screen TVs in every direction, and a sound system to rival any nightclub. Getting from conception to execution, however, is another beast, but fear not, friends. As your trusted rental transportation provider in the Houston area for over 30 years, Sam’s Limousine is sharing the tips and tricks of the trade just in time for your next event. No matter whether it’s a party bus, charter bus, shuttle bus, or the traditional stretch limousine, Sam’s Limousine has all the options you need and the coveted insider tips to help you get there. Get Your Basics in Order. There’s actually quite a bit of information necessary to obtain a quote, and while it may seem tedious, it’s actually well worth it in the end. Before you begin the booking process, take the time to truly consider what you need. After all, it’s impossible to accurately obtain a quote when you’re not sure what it is that you’re looking for. At Sam’s Limousine, we are dedicated to delivering a custom affair for each and every event that we service. In addition to your preferred date, consider a choice of backup date, as well. Sporting events, concerts, and conferences can all impact local availability, so sometimes flexibility is a must. Have a solid idea of the number of hours needed and be generous – you’ll be surprised how quickly time passes on the day-of, and you’ll be glad for the extra padding. Your pick up and drop off locations, combined with the number of stops, will largely define your total cost. Mileage will be a factor for longer trips, while shorter, in-town trips within the Austin or Houston metropolitan areas may be charged on an hourly basis. Be prepared to have some flexibility. Even a small conflict can throw your timeline and result in extra time to your contract. It happens all the time, and it’s important to ensure you’ve allotted proper funds just in case, so your event doesn’t suffer from last minute changes. Get Your Guest List Right. It’s where hosts always struggle the most – the guest list. All of those RSVPs can be so overwhelming to handle, and then there are the dreaded plus-ones that show up unexpectedly right in time to board. Budgeting too little, or too much, room can lead to big problems. An extra 5 guests may not seem like a huge difference, but it quickly becomes a legal matter given state and federal regulations. Bottom line – you need more room. These sudden deviations often happen close to the event, leaving little time to plan. And, with such little time until the event, it can be extremely difficult to find both the availability and the vehicle you need on such short notice. Don’t risk your budget on wasted space. Give yourself a buffer, and your sanity will thank you. There are certain times of the year that are just busier than others – like prom or wedding season, for example. Always err on the side of caution, and book as early as possible. Sometimes, people like to hold for last minute deals, and while they do sometimes happen that way, it’s hardly worth losing your preferred ride, or worse, your date. Instead, there are other ways to save money. Keep the guest count as low as possible and pay attention to those RSVPs. Bear in mind that holidays and weekends are likely to be more expensive than a Tuesday afternoon, so use these savings when you can. Booking late can have other repercussions, too. Your rental could end up costing you more money if you’re forced to book a bigger ride than needed, simply because it is the only option available. You also risk losing important amenities – for example, the infamous dance pole is an option only found on our luxury party buses. At the end of the day, it may not be worth it just to save a couple bucks, and you might wish you would have booked sooner just to have the vehicle of your dreams. It sounds obvious, right? But something that seems so straightforward could actually save your life, and yet it is so often overlooked. Sure, you might feel silly asking for a limousine company’s credentials, but as a consumer, it is both your right and responsibility. Most companies even post this information publicly on their websites or within their physical offices, but in the event that these documents are missing, you have every right to ask. If a company is worth its weight (and your dollar! ), it will be happy to furnish the proper credentials for your review. Visit the U.S. Department of Transportation’s Federal Motor Carrier Safety Administration to confirm company records. You can search using a USDOT or MC/MX number or the company name via the Safety and Fitness Electronic Records System. Reviews are also an invaluable part of the vetting process. Anyone can make fancy promises of grand gestures and fantastic extras, but nothing speaks louder than the words of customers past. Visit websites like Yelp, Google Reviews, and Facebook to read about customer experiences. Because most reviews are written after the fact, you can glean helpful information and tips that could prove incredibly beneficial for your trip. Pay particular attention to the dates of each review. Some reviews may reflect a previous management or structure that is no longer in place, and more recent reviews could relay an entirely different experience. 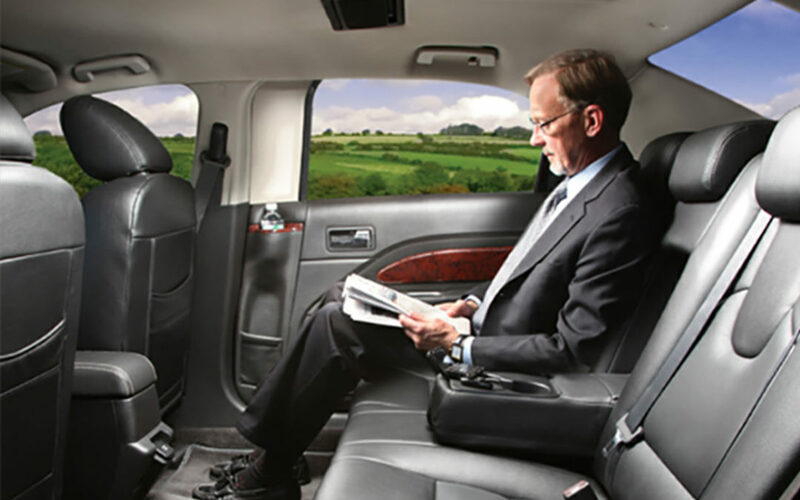 By thoroughly researching your options, you are able to make an educated decision that rewards you with a safe and reliable sedan, limousine, or bus rental. Let us know what’s feasible for you, but if you don’t know what you need, that’s okay, too. The experienced and friendly support team at Sam’s Limousine can help you plan your trip from start to finish! Most rental companies simply quote by the hour, but this offhand quote fails to encompass other additional factors like location, season, and demand. A quote also doesn’t reflect any change in your plans between today and tomorrow, impacting the final budget and increasing your bottom line. While Sam’s Limousine respects our customers enough to offer straightforward pricing, it doesn’t mean that other limo companies offer the same. Carefully review each contract, looking for hidden costs and conflicting language hidden within the fine print. Initial proposals may seem impressively affordable at first glance, but sadly as we all know, looks can be deceiving. Instead, turn to Sam’s Limousine. We are confident we can work together to create the perfect rental solution to fit both your group and your budget! Give us a call today, and let’s start the planning process!